“People are appalled at Amnesty’s stance, especially those who previously supported the organisation” - Niamh Ui Bhriain of the Rally for Life Committee. Thousands who attend a major pro-life rally this weekend in Dublin will hear a call to ‘Abandon Amnesty’ because of the organisation’s strong push for legalised abortion in Ireland. Amnesty International have launched a global campaign demanding Ireland legalise abortion, a move pro-life activists say has motivated many to attend the Rally for Life on Saturday. “More than 10,000 people are expected at the Rally for Life on Saturday, and, in part, the numbers will be boosted as pro-life people respond to the pro-abortion campaigns orchestrated by Amnesty and the United Nations in recent weeks,” said Niamh Ui Bhriain of the Rally for Life Committee. “People are appalled at Amnesty’s stance, especially those who previously supported the organisation” she said. She said that it was particularly disturbing to see Amnesty and the UN join other abortion campaigners in cynically targeting unborn babies with a profound disability and attempting to dehumanise babies with conditions such as anencephaly in order to justify abortion. 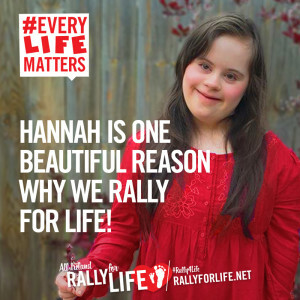 Speakers at the Rally for Life will include people with disabilities and their families who are supporting the ‘Every Life Matters’ theme of this year’s Rally. “The Rally for Life is always a major celebration of Life, and this year’s theme emphasises that legalising abortion for any kind of a disability leads to the horrific situation we’re seeing in many other countries, such as Britain, where 90% of children with Down’s Syndrome are aborted before birth,” said Ms Ui Bhriain. Kevin Trainer, who has Down’s Syndrome, will travel from Louth to be at the Rally on Saturday with his family. His mother Anne says that Kevin “goes to school every day with a massive smile on his face. He lights up every room he walks into. His father says Down’s Syndrome should be called Up Syndrome”. “It breaks my heart to read that more than 90% of babies with Down’s Syndrome are aborted in Britain,” she said. “Why are Amnesty International calling for Ireland’s abortions laws to be changed and calling abortion “a human right?” What is humane about aborting a baby simply because they have an extra set of chromosomes?” said Ms Trainer. 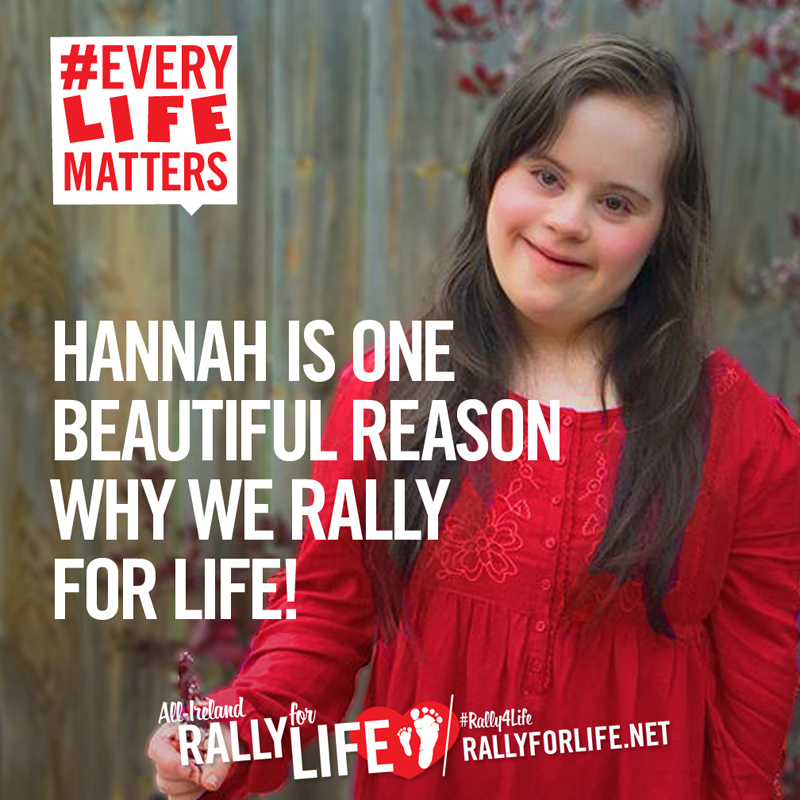 The Rally for Life is Ireland’s premier pro-life event which brings thousands onto the street every year. “It’s a huge celebration of life, with face-painting and balloons and music and there’s a great festive atmosphere, but the Rally also sends a powerful pro-life message to the city, to the public, and to the government – and this year’s message is that Ireland should continue to protect the right to life of unborn children with disabilities,” said Niamh Ui Bhriain. “We’re seeing the number of women travelling for abortion to Britain fall, we’re seeing more and more young people join the pro-life movement, and we’re seeing that there is always a better answer than abortion,” she said. The Rally for Life is organised by Youth Defence, the Life Institute and Precious Life. It begins at 2pm this Saturday on Parnell Square before marching to the Dáil.